The recent announcement that Hayao Miyazaki, one of the greatest directors of animated films of all time, has drawn a lot of attention to the Japanese filmmaker’s body of work. The imaginative artist directed 20 feature-length and short animated movies, all of them magnificent examples of animated art. While it’s difficult to say which one is the absolute best, there are a few that certainly distinguish themselves from the rest. Here are Miyazaki’s best animated films that he directed. It’s difficult to argue about a film’s greatness when it’s won an Oscar. 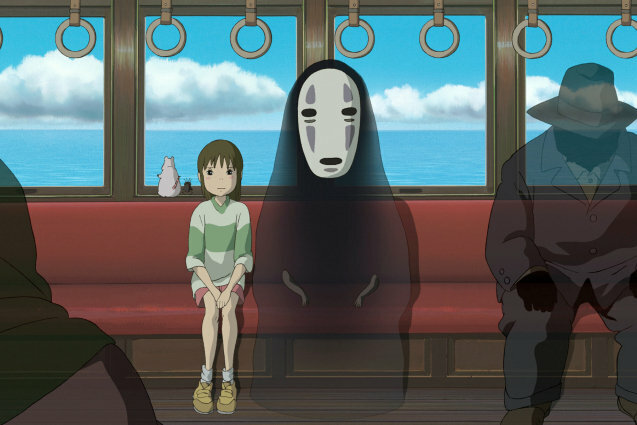 Spirited Away won the Best Animated Feature in 2002 and tells the coming-of-age story of a ten year-old girl who becomes trapped in a magical bath house after her parents are magically turned into pigs. Filled with visual symbolism about the dangers of over-industrialization and stunning imagery, Princess Mononoke is a fantastical story that explores Miyazaki’s environmental concerns. Miyazaki’s Studio Ghibli’s adorable mascot came from this lovely story about two young girls and their endearing friendship with two wood spirits. By the end of the movie, you’ll be singing the movie’s catchy theme song, as well as wishing for your own personal Totoro to lie atop. Including Howl’s Moving Castle may raise a few eyebrows from Miyazaki “purists” since it was based on an English novel. It is nonetheless a heartwarming story of a girl who must undo a curse that has transformed her into a 90 year-old woman. Before Studio Ghibli was officially founded, Miyazaki adapted his serialized manga and turned it into his second feature-length film. Environmentalism, pacifism, and complex antagonists are several of the recurring themes explored in this film, as well as all of his subsequent ones.